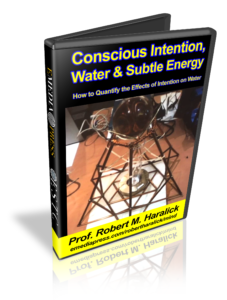 At the 2018 ESTC (Energy Science & Technology Conference), Professor Robert Haralick takes us deeper in the realm of subtle energies by showing exactly how he measured quantifiable changes in water that result from conscious intention alone. This is the companion presentation to the presentation from last year. He also covers many important points about how the experimenter can influence the experiment on a level that goes above the common superficial understanding of this concept. This is taken to a higher level and suggestions are offered on how to clear the influence of intentions on the experiment in order to have cleaner or purer results. Prof. Haralick gives the exact components that he uses to measure changes in the impedance of water for the control or unaltered water in comparison to water that is subject to the influence of intention. The results are strikingly obvious – conscious intention alters how well water accepts or rejects the signal from an analyzer. What this shows is how the intention possibly changed the bonding angles or other characteristics. Whatever the change may be, it is unmistakable that the water was indeed changed by consciousness alone. Quite a few experiments are revealed by both graphs, Smith Charts, etc. and Prof. Haralick also reviews various “structured” water and how their boiling point is changed. The most altered appears to have lower boiling points indicating the possibility that the strength that the water molecules are holding hands has been reduced and this is a possible further indication that the surface tension has been reduced. 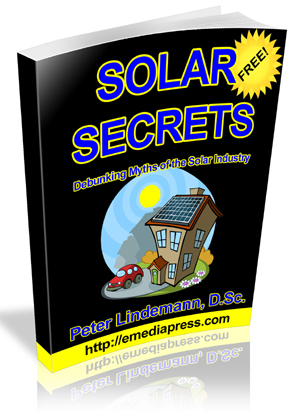 Various water technologies are also discussed as well as his personal experience meeting with the inventors. If you have an interest in water and the effects of consciousness on it, this presentation is for you because you learn exactly how to measure the effects. Experimental protocols that actually work are not very well understood even by many water scientists, but this presentation lays it all out for you.